The Citizens Advice Bureau Service offers free, confidential, impartial and independent advice. The CAB helps solve problems which are central to people's lives, including debt and consumer issues, benefits, housing, legal matters, employment, and immigration. Advisers can help fill out forms, write letters and negotiate with creditors. 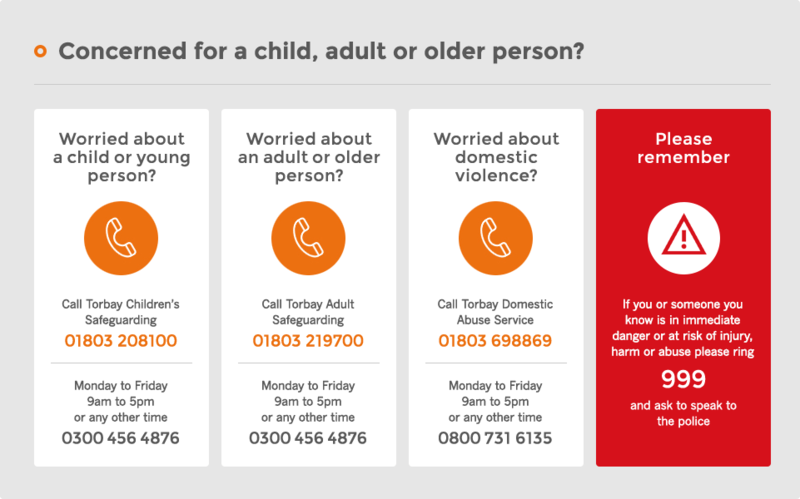 General advice is offered from our Paignton office including advice, support and information services on a range of topics i.e. entitlement to benefits, debt, employment rights, consumer issues, legal issues, housing problems, tax etc. We offer face to face initial assessments at our drop in sessions Monday to Thursday 9.30 - 12.30 (Closed on Wednesdays) with Emergency drop in only sessions on Fridays, 9.30-12.30. Open Monday to Thursday: Drop in from 9:30 to 12:30. Closed on Wednesdays. Emergency Drop In only on Fridays, 09.30-12.30. Telephone advice: Mondays to Fridays from 9.30 to 12:30. Closed Wednesdays.